Paper Crafting in Cocoa: Cute Little Polar Bears & Some DT News! Cute Little Polar Bears & Some DT News! Hello all! 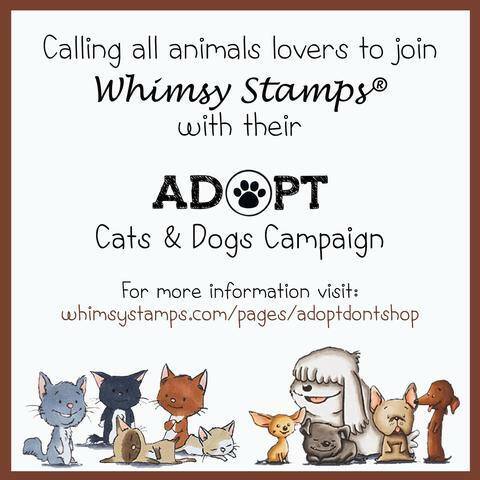 Today I have some news I like to share with you! I recently joined the DT from Dutch Paper Crafts. 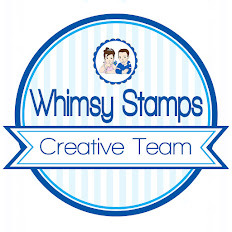 Dear Darlene, the owner of Dutch Paper Crafts, asked me a while ago if I would like to join her team and I happily accepted :-) Darlene sells all different kinds of products from Nellie Snellen, Marianne Design, Joy Crafts, Cheery Lynne Design, Memory Box, Just Rite Stamps, Heartfelt Creations etc. Darlene always was my primary source for getting the newest Marianne Design and Joy Craft Dies as well as Cheery Lynne Dies etc. Just visit her blog and type in the search box what you are looking for! Darlene always has very competitive prices and if you purchase a whole set you'll get an extra discount! How to order? That's pretty easy, just write Darlene an email with the products you like to purchase, your PayPal email and your zip code for shipping cost calculations. Darlene will get back to you with the total and an PP invoice. It's that simple! Darlene not only lists what she sells on her blog she also always makes wonderful videos to show you how things work and how they actually look cut out or stamped. This is such an advantage to be able to see how certain die cut pieces look and not just see the plain die in a photo. Her newest video is about the cute Polar Bear stamps and matching dies from Memory Box, a snowflake corner die and a beautiful flourish die also from Memory Box. I made some samples for Darlene and you can see them all in the video here. You will also find all the prices and pictures of the items listed on her blog HERE. If you buy the whole set you will get a great discount. Go and check it out! 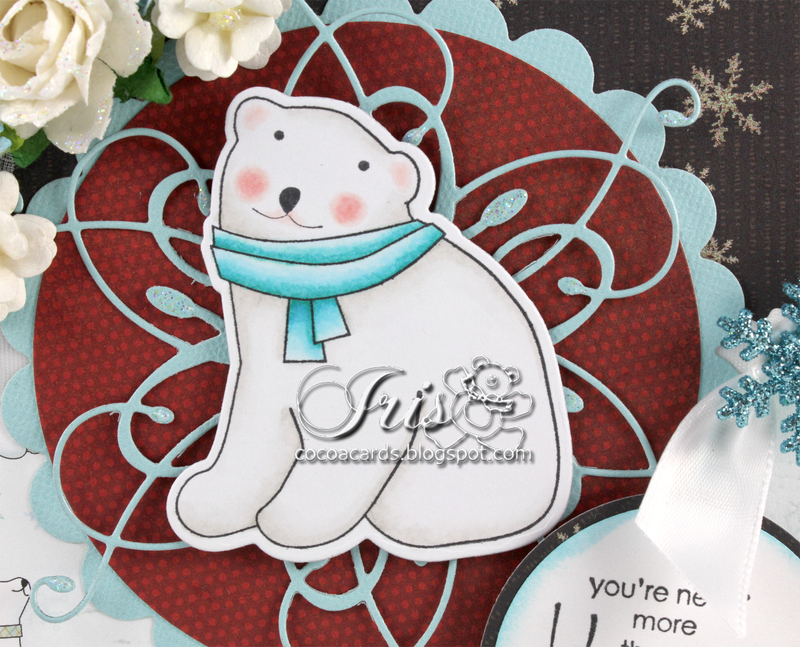 Over the next couple of days I like to show you the cards I made with this cute Polar Bear set from Memory Box. 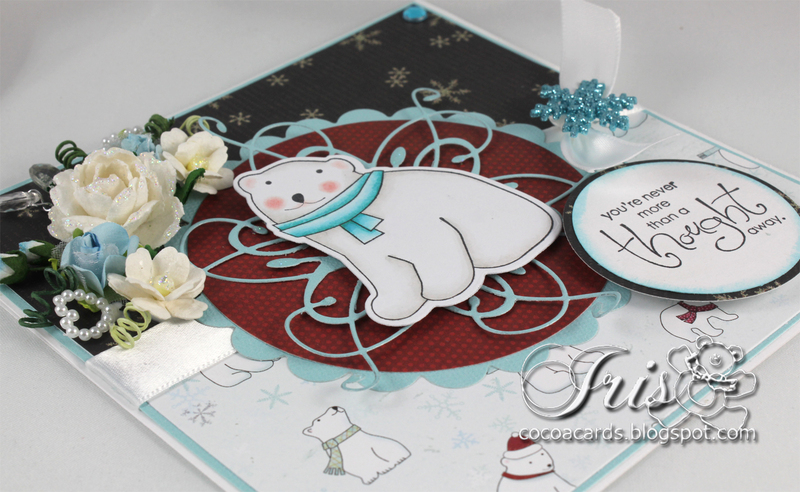 Here is my first card using Colin Bear Stamp with the matching Colin Bear Die and the gorgeous La Rue Flourish Die. I colored the polar bear using my Copics. DP is also from Memory Box, called 'Yuletide' and matches the polar bears perfectly. Flowers, ribbon and other embellies are from my stash. Please come back tomorrow when I like to show you another Polar Bear creation. Such a beautiful card. Love all the detail. Beautiful card:) Wow, I just love colors and the detail are fabulous! Wauww i realy like your work!! It is a nice card and Darlene has made a great video! !